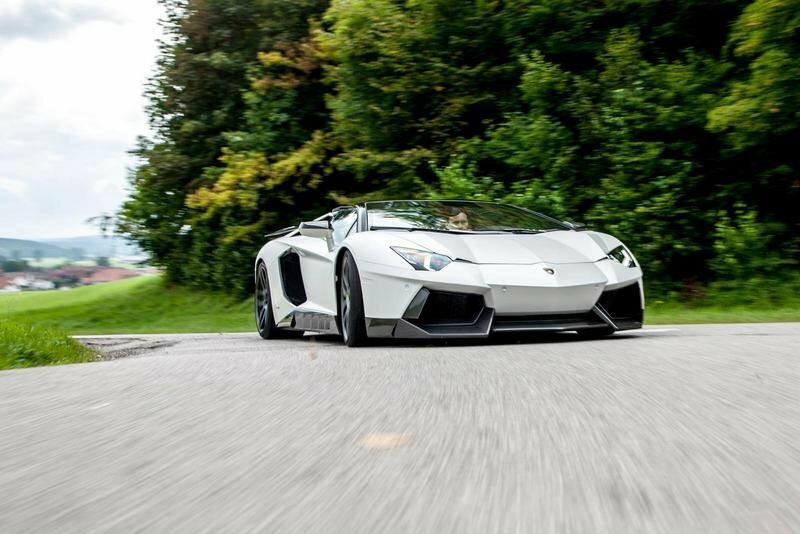 A light engine tune and tons of body work from Novitec Torado makes the Aventador Roadster look even meaner. 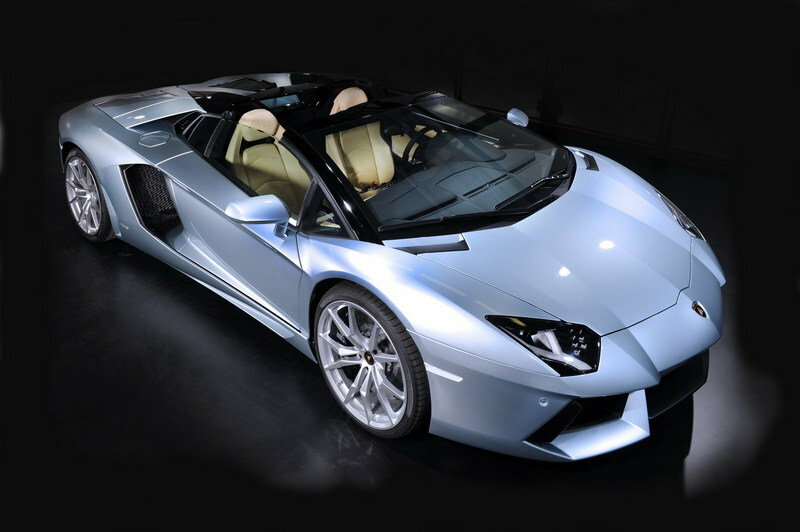 The Lamborghini Aventador LP 700-4 Roadster is arguably one of the most powerful drop-top supercars in the world. Needless to say, it’s also a popular aftermarket project for some of the best tuning firms in the world. Novitec Torado can lay claim to that distinction, thanks to its affiliation with Novitec Rosso and Novitec Tridente, all of which are part of the Novitec Group. It’s only fitting that Novitec Torado’s latest program is for the Aventador Roadster and not surprisingly, it’s an incredible kit that features comprehensive aerodynamic and performance upgrades. 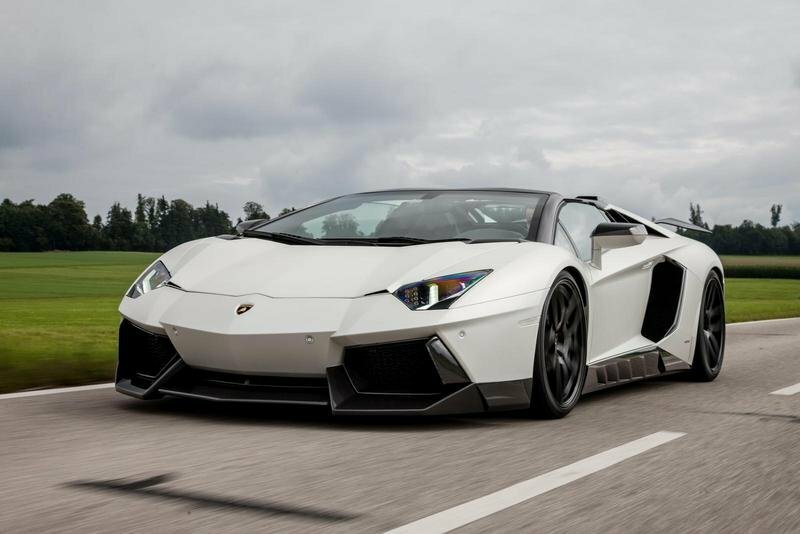 This isn’t the first time Novitec Torado has worked on the Aventador. 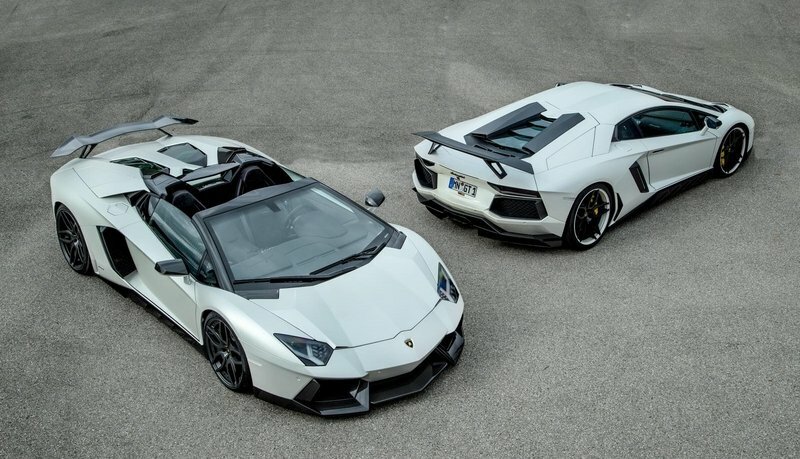 Back in July 2013, the Novitec tuning division dedicated to Lamborghinis worked on the Aventador coupe and the result was a 750-horsepower powerhouse, photos of which still have a dedicated spot on my desktop. 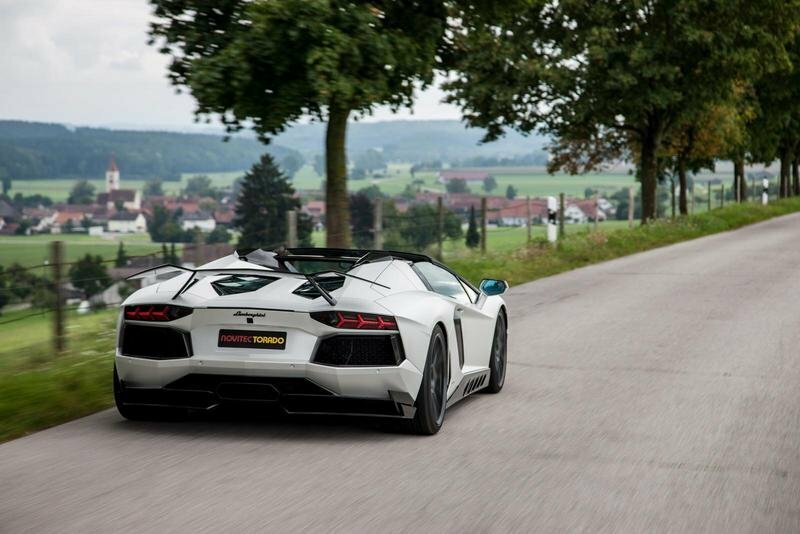 It’s hard to top that kit, but Novitec Torado comes really close with its kit for the Aventador Roadster. At the very least, you don’t expect anything less from a tuning group that has built some of the most unique and most powerful programs for Ferraris, Maseratis, and now, Lamborghinis. 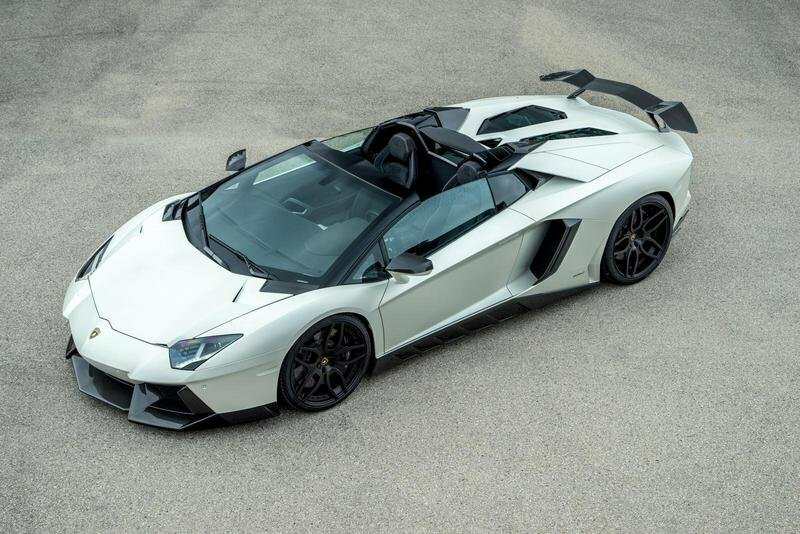 Click past the jump to read more about the Lamborghini Aventador Roadster By Novitec Torado. Where do I even begin? Ok, let’s start with the aerodynamic upgrades, which are about as extensive as it gets. Novitec Torado began with the front end, upgrading the front bumper with a two-piece front spoiler, a central blade, and redesigned air intakes. The aesthetic difference is pretty dramatic, isn’t it? From there, Novitec Torado added a redesigned trunk lid that now comes with integrated air ducts and redesigned air extractors that you can spot just in front of the windshield. These upgrades serve the purpose of improving the Aventador Roadster’s handling ability by enhancing downforce on the supercar’s front axle. On the sides, the Italian tuner installed new rocker panels and carbon-fiber mirror housings, while the rear end gets a massive rear wing that can be controlled below speeds of 112 mph by a Novitec Cantronic control unit. Interior upgrades are also offered, including clear-coated carbon-fiber components and high-quality materials like leather and Alcantara, that can be ordered in any color. With an extensive list of exterior and interior upgrades, Novitec Torado’s engine improvements might not even be the best part of the whole program. In any case, the Italian tuner installed its high-performance exhaust in place of the stock unit. 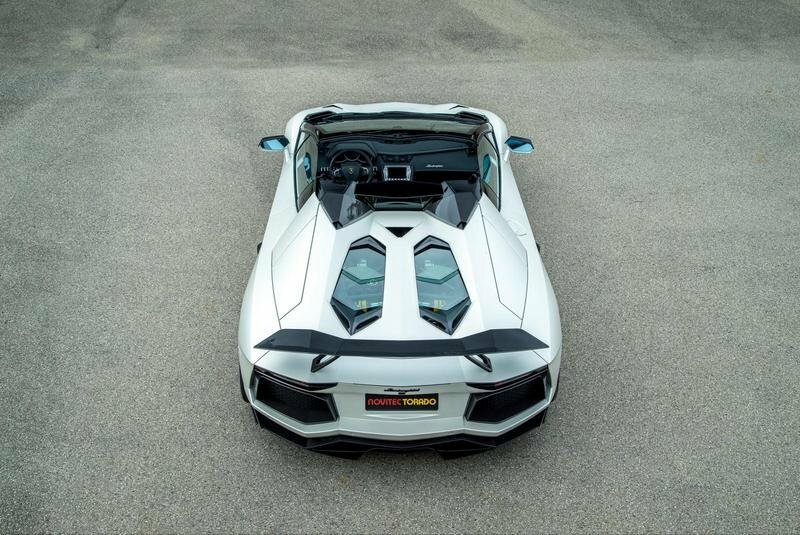 From there, the company re-calibrated the Aventador Roadster’s engine electronics with special mapping for the fuel-injection and ignition systems. 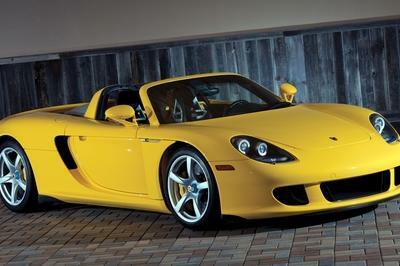 The result is an improved output of 728 horsepower and 523 pound-feet of torque, a nice increase from the supercar’s standard output of 700 horsepower and 509 pound-feet of torque. 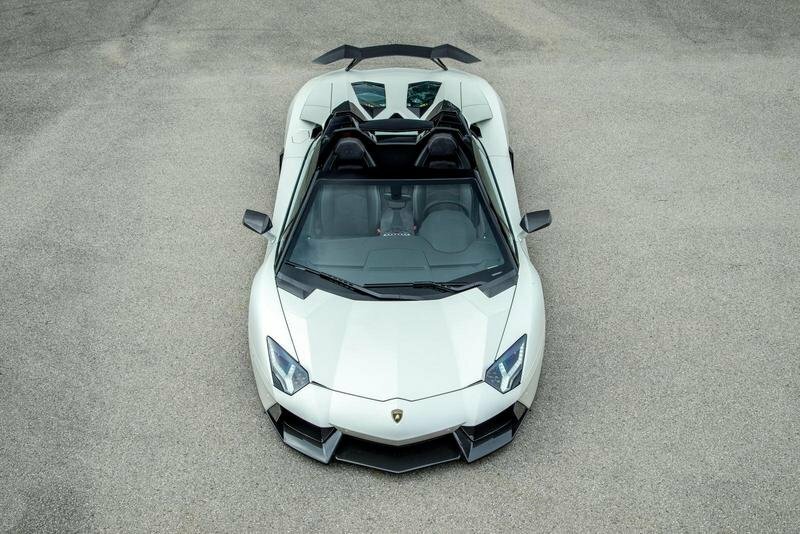 No exact performance numbers were given, but we’re assuming the improved Aventador Roadster to sprint from 0 to 60 mph in just under three seconds to go with a top speed of 220 mph. 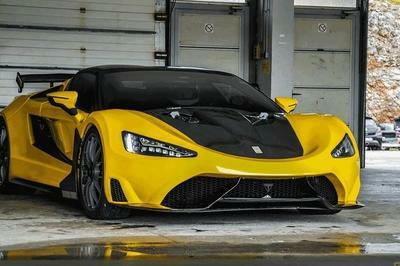 Novitec Torado also installed a set of high-tech forged wheels as part of the program. 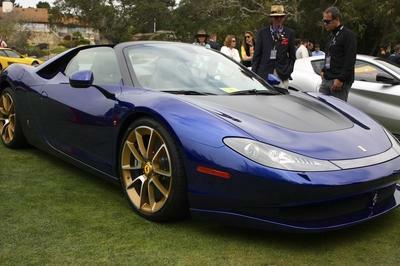 In this instance, the Italian tuner opted for 20-inch, three-piece NL1 alloy wheels wrapped in Pirelli P-Zero high-performance tires. The final piece of Novitec Torado’s program for the Aventador Roadster is the new height-adjustable sports suspension system that the company developed in collaboration with KW Automotive with help form the KW seven-post shaker rig used by the Toyota Formula 1 team. 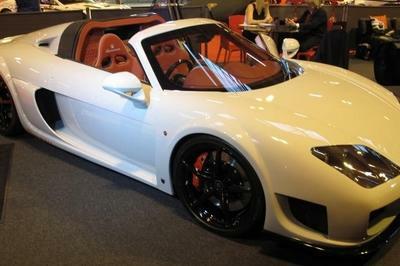 The tuner is also offers a sport-spring kit that can lower the supercar’s ride height by 30 mm (1.18 inch). 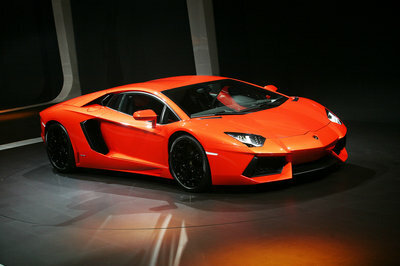 The Lamborghini Aventador LP 700-4 Roadster is one of the world’s most exciting and powerful drop-top sports cars. NOVITEC TORADO, the business division of NOVITEC GROUP specializing in the exclusive refinement of the automobiles from Sant’Agata Bolognese, now presents an extensive range of customization options that make the open two-seater even more extravagant and dynamic. The NOVITEC TORADO appearance upgrade comprises strikingly styled and aerodynamically efficient carbon-fiber body components and tailor-made staggered high-tech forged wheels with diameters of 20 and 21 inches. The NOVITEC TORADO coil-over sports suspension was designed specifically for this tire/wheel combination. NOVITEC TORADO tuning boosts the power output of the Aventador’s 12-cylinder engine to 535 kW / 728 hp, and thanks to a high-performance exhaust system with active electronic sound management at the push of a button in the cockpit the engine sounds even more spectacular. Exclusive options for the interior round out the product lineup. Making super sports cars even more exciting is the specialty of NOVITEC Group. The body-enhancement program for the Aventador has now been expanded with parts adapted to the roadster version, and combines even more spectacular looks with maximum aerodynamic efficiency, which was defined in extensive wind tunnel tests. 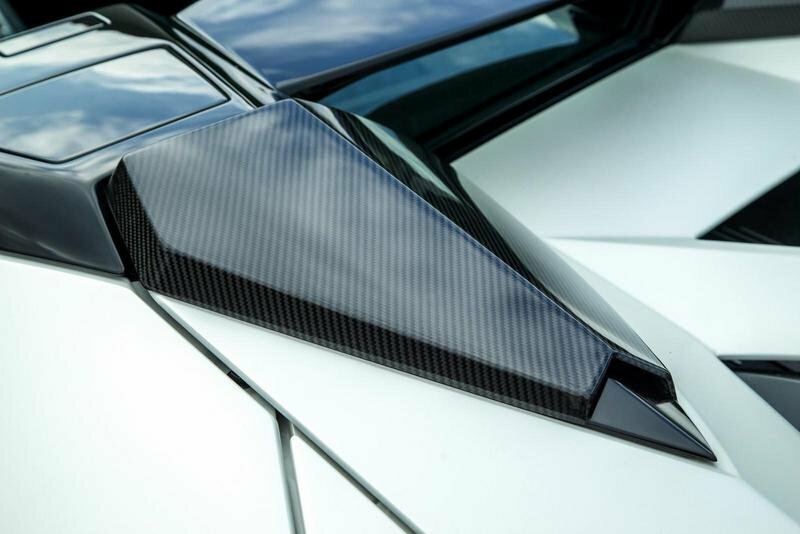 All NOVITEC TORADO body styling components are made from carbon fiber. They are available with either a matt or glossy finish, and in a version for painting in vehicle or contrasting color. The face of the top-of-the-line Lamborghini model undergoes an extensive NOVITEC TORADO upgrade. The front bumper is upgraded with a two-piece NOVITEC TORADO front spoiler on the left and right, a central blade and redesigned air intakes. In addition, the front is modified with a redesigned trunk lid with integrated air ducts, and redesigned air extractors in front of the windshield. The wind tunnel tests showed these components to reduce negative lift on the front axle, thus optimizing handling stability at high speeds. From the sides, NOVITEC TORADO rocker panels and carbon-fiber mirror housings lend the Aventador a new and even more distinctive profile. The NOVITEC TORADO rear wing is not only a predominant part of the aerodynamic-enhancement concept, but also plays a key role in the extremely sporty appearance of the refined Lamborghini. To ensure venting of the engine bay, the rear wing is raised by a special NOVITEC CANTRONIC control unit below speeds of 180 km/h. The aerodynamic-enhancement concept also comprises a special diffuser for the rear bumper that can be expanded into an especially efficient double diffuser. The NOVITEC TORADO appearance package for all Lamborghini Aventador models, coupé or roadster, includes high-tech forged wheels. The three-piece NL1 alloys fill out the available space in the wheel arches perfectly, and fascinate with their delicate design featuring five double spokes. The staggered diameters on front and rear axle further emphasize the wedge-shaped appearance of the roadster. The front axle is fitted with size 9Jx20 wheels and Pirelli P-Zero high-performance tires of size 255/30 ZR 20. Tires of size 355/25 ZR 21 on 13Jx21 rims provide optimal traction on the rear axle. The height-adjustable NOVITEC TORADO sports suspension for the top-of-the-line Lamborghini model was developed together with KW automotive. In addition to extensive road tests, the KW 7-post shaker rig from the Toyota Formula 1 team was also used in the development. It allows simulating a wide variety of roads and sequences of turns. The test results are then used in engineering an even sportier and safer suspension setup. As an alternative, NOVITEC TORADO also offers sports springs that lower the ride height of the two-seater by about 30 millimeters. It goes without saying that NOVITEC TORADO offers engine tuning for the top-of-the-line Lamborghini model as well. Thanks to the NOVITEC TORADO high-performance exhaust and recalibrated engine electronics with special mapping for injection and ignition, power output of the Aventador LP 700-4 Roadster jumps to 535 kW / 728 hp while peak torque increases to 709 Nm. As a result the V12 engine delivers even more spontaneous throttle response. The NOVITEC TORADO exhaust systems are also available without engine tuning. The high-performance exhaust comes in a stainless-steel version and in a version made from even lighter INCONEL used in Formula 1 racing. Customers can choose from versions with or without active sound control - optionally even at the push of a button in the cockpit. In addition, the lineup includes lighter and more efficient sports catalysts. Besides optimizing performance, NOVITEC TORADO’s high-performance exhausts also offer weight savings of up to 26 kilograms over the production system. NOVITEC TORADO likewise offers a host of options for the interior. These include clear-coated carbon-fiber components ranging from door panels to the instrument cluster cover, as well as high-quality interiors crafted from the finest leather and Alcantara in any desired color.